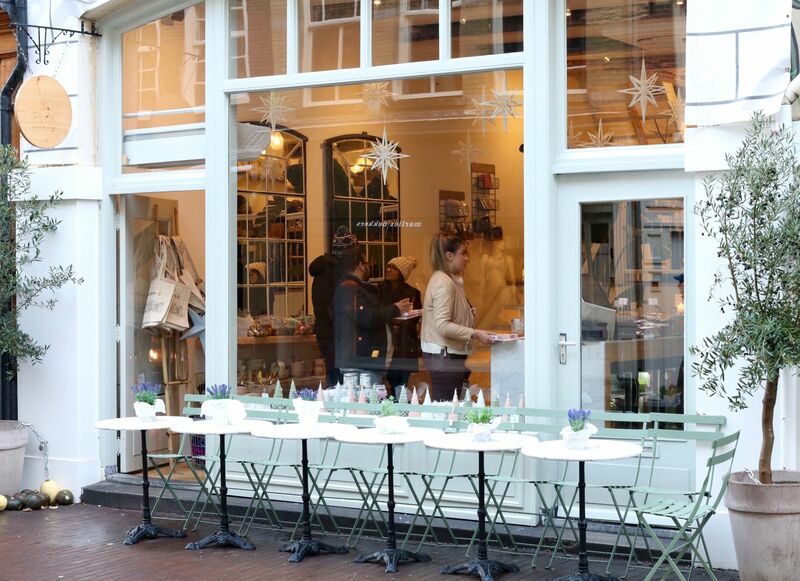 What would an Amsterdam travel guide be without including the best places to go for brunch? If you haven’t seen my Amsterdam travel guide already makes sure you do as it contains everything you need for a long weekend away. 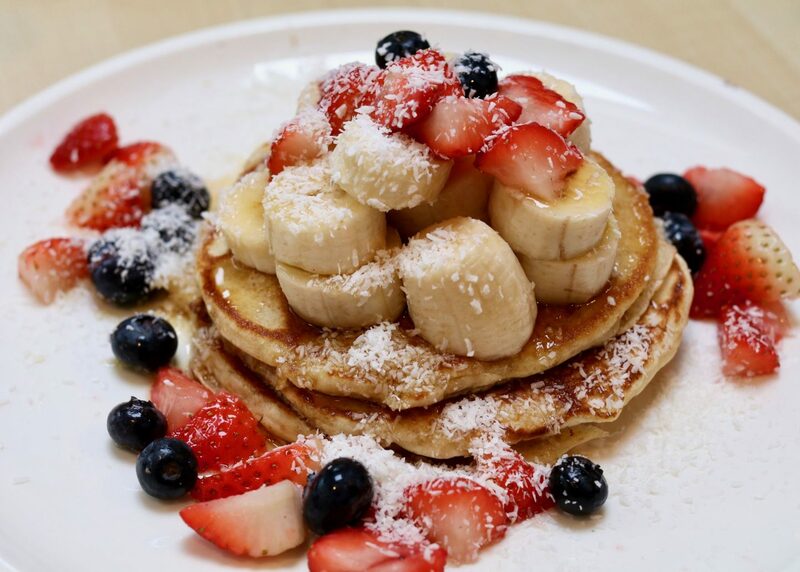 But let’s get back to what you really care about: pancakes brunch. Here are three of the best places for brunch in Amsterdam. I found Mook whilst scrolling through Instagram – am I the only person who does this? 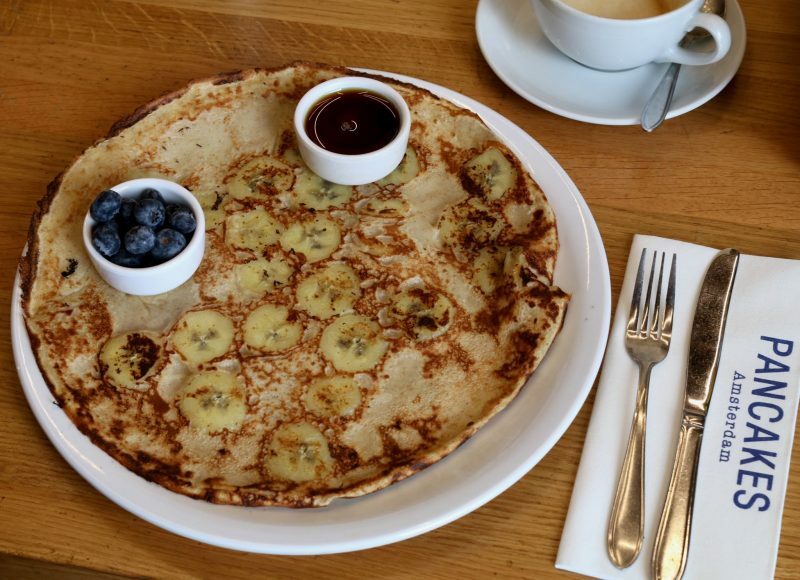 The pancakes looked incredible, but I didn’t realise how much I’d love the restaurant, the decor and the overall feel of the place. It’s exactly what you’d expect of a trendy brunch restaurant. 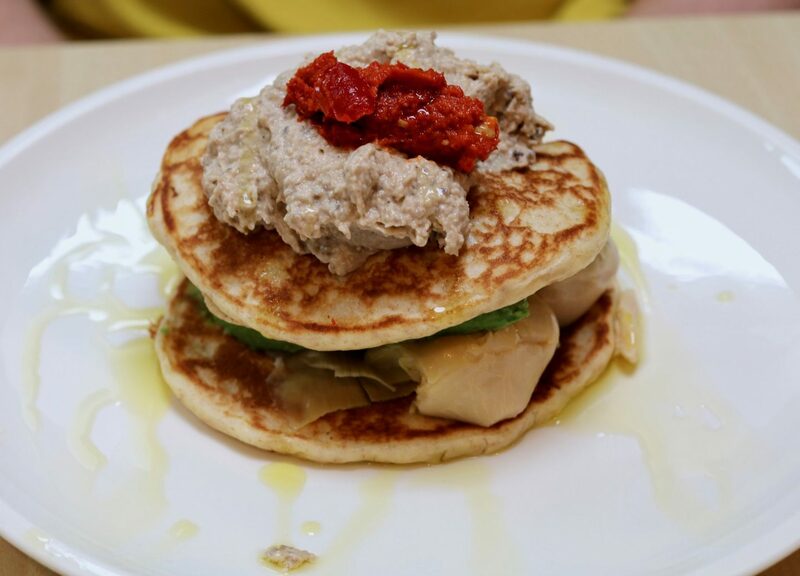 They offer a range of sweet and savoury pancakes, but of course I settled on the sweet option ‘blue magic deluxe’ pancakes seen as I have the biggest sweet tooth and my partner went for the savoury ‘paid in full’ stack, both paired with a fresh juice. The staff are lovely and the service was great. I cannot say anything bad about it, except the fact that the plant feature wall made me realise how much I want a feature wall covered with cacti and other greenery. Top tip: If you like coconut and you’ve never tried shredded coconut on pancakes then you need to! Unfortunately during my trip I was not able to eat at Pluk, but it looked like it would be exactly up my street. The restaurant looked amazing, and also had a little homeware section with cute mugs and other homeware bits – I was very tempted to buy up half the store haha! From what I have read from other travel bloggers, and saw, the food sounds and looked scrumptious – queue the image of me staring eagerly at people’s tables eyeing up their food and turning into the heart-in-eyes emoji. Pluk has something for everyone: pancakes, smoothie and açai bowls, cakes and delicious looking sandwiches, making you spoilt for choice. So if you go here, or have been here, let me know what you think! 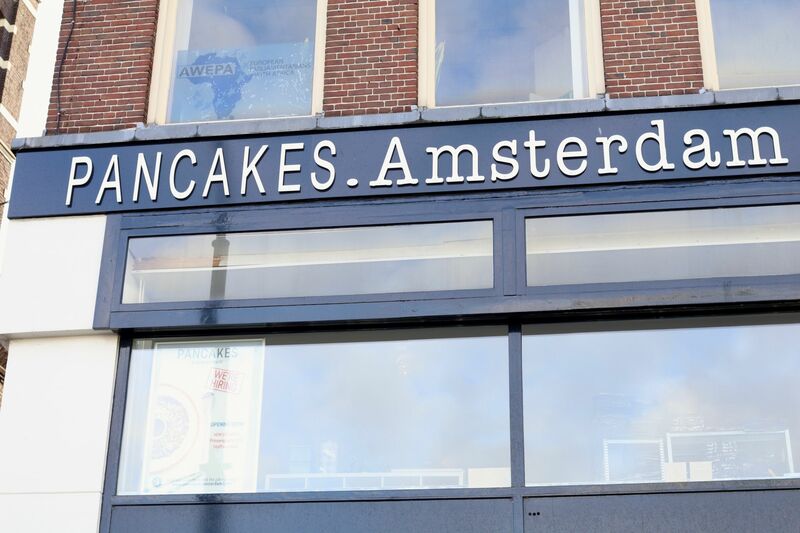 Pancakes Amsterdam is probably one of the most famous places for brunch in Amsterdam as it includes both American style and tradition pancakes, and of course both sweet and savoury options. The choices are overwhelming, so if you’re with a group of friends why not pick different options and share them between you. I visited the Amsterdam Centraal location which is a stones throw away from the station making it a must stop before sight seeing and shopping. Plus, pancakes are the perfect fuel for all the walking you’ll be doing. Am I right? What a cute little cafe next time we are in Amsterdam will certainly check it out.